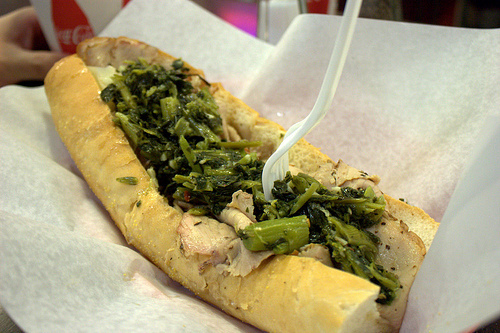 cheesesteaks « The Sporkful - It's not for foodies, it's for eaters. We feast on Philly's most iconic foods, then bring samples to a scientist to find out what makes greasy treats like cheesesteak and scrapple so irresistible. I run around Philly eating the city's most iconic foods, then bring samples to a scientist at the Monell Chemical Senses Center to learn why greasy treats like scrapple and cheesesteak are so good. 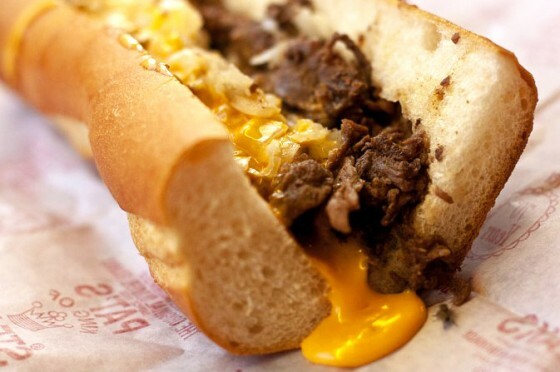 Philly cheesesteaks are up for debate, including the merits of cheese wiz, pizza steaks, and John Kerry's presidential campaign.